Dubai has no shortage of luxury pools, beaches and resorts that residents and tourists can take advantage of. But as well as high-end resorts, there are plenty of budget options where you can soak up the sun without spending a dirham. 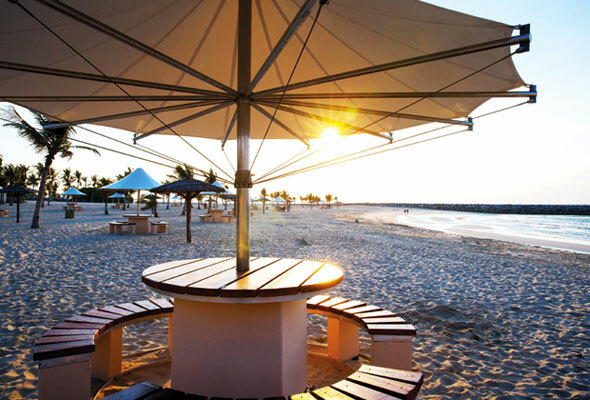 Here are five free access public beaches in Dubai. La Mer is a beachfront shopping and dining destination in Jumeirah 1. The beach is a pristine stretch of sand scattered with beach huts, loungers and even some in-water hammocks. While you’re there, take a stroll around some of the 130 shops, restaurants and cafes that are popping up all the way down the beachfront. You’ll find the busy Kite Beach under the sail of the Burj Al Arab. Anything goes here, and you’ll find everything from yoga to volleyball and plenty of kite surfing. But it’s not just about water sports – there’s also a beach library, shopping and plenty of food trucks to get your midday snacks. One of Dubai’s most popular beaches among both residents and tourists, this is the closest public beach to Dubai Marina. It’s littered with sunbeds and cabanas for seaside lounging, and the promenade is filled with shops, restaurants, an outdoor market and even a mini games arcade. It’s got some pretty special sunsets, and will have the best views of the soon-to-be-completed Ain Dubai. Also known as Secret Beach, Black Palace Beach is one of Dubai’s hidden gems when it comes to free beaches in the city. It’s not the easiest to access – you get to it via an almost impossible-to-find pathway, but once you’re there, it’s well worth it. There’s not much else around – no amenities, no showers, no food trucks, and that’s why we enjoy it so much. 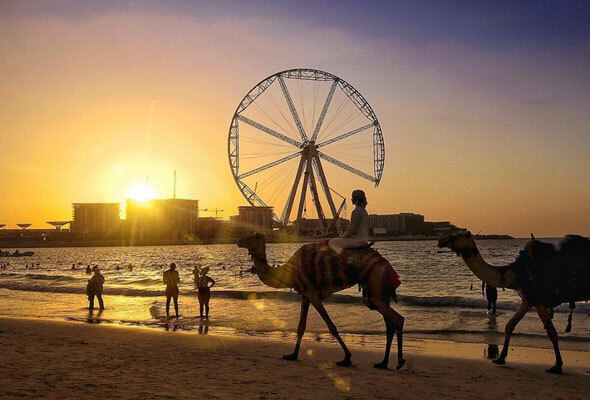 Popular for being one of Dubai’s best surfing beaches, Sunset Beach is just along the sand from Kite Beach, opposite Sunset Mall on Jumeirah Beach Road. It’s not as well known as Kite Beach, so if you head down early for a morning stroll, you’ll almost have the beach to yourself. It’s the closest you can get to the Burj Al Arab on a public beach though, so in the day expect to find tourists heading down to get a snap. What it may lack in stunning backdrops and glamorous seaside cafes, Al Mamzar easily makes up for in relaxing vistas. Its location on the northern fringe of Dubai also ensures relative quiet. The beach blurs into a 99 hectare park which comes with large manicured lawns, swimming pools and lanes of bicycle paths. There’s also a host of barbecue areas and a skatepark. Al Mamzar Park, Al Kaleej Street, Sun to Weds 8am to 10pm, Thurs to Sat 8am to 11pm, Dhs5 per person, Dhs30 per car.